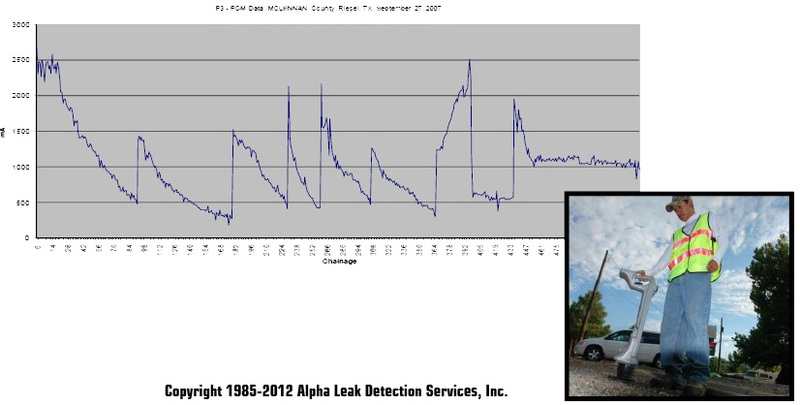 Pipe Current Mapper (PCM) - Alpha Pipeline Integrity Services, Inc.
Home » Pipe Current Mapper (PCM) - Alpha Pipeline Integrity Services, Inc.
PCM (Current Attenuation) Survey data is a valuable addition to other Indirect Surveys. The PCM Survey also gathers Depth of Cover and Elevation to support ICDA. The Pipeline Current Mapper (PCM) is used to conduct an ACCA (Alternating Current Coating Attenuation) survey. The PCM utilizes a signal current that measures current attenuation characteristics along with pipeline faults and bonds to other buried metallic structures. Typically, a signal current is place on the pipeline at a rectifier. Over the length of the pipe the current is measured and charted.